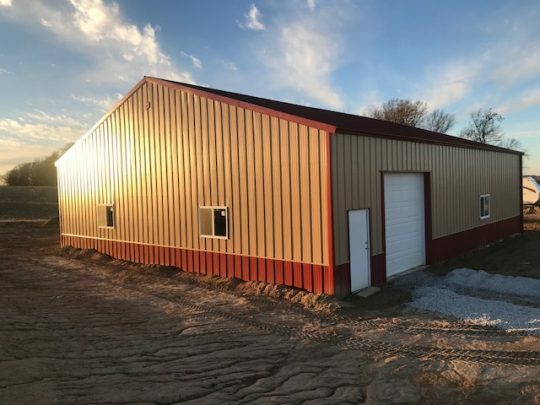 This 48′ x 56′ building was built over the course of 10 days on an existing concrete slab. 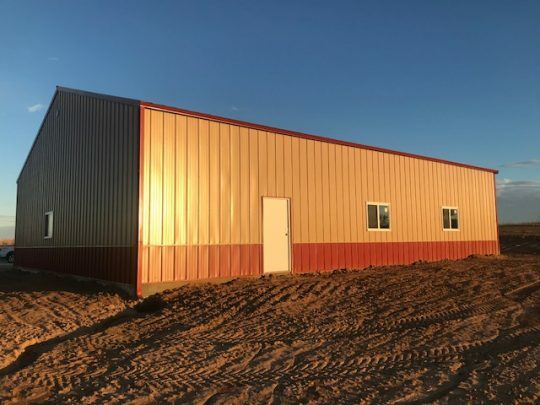 The building’s size and durability will help our client’s waterjet cutting and steel fabrication business grow while still providing its additional function as a storage unit. Our team also installed a 10′ x 10′ Raynor Overhead Garage Door which will allow our client to get plenty of material in and out of the building.